LED Strip Lighting comes in a variety of intensities, colours, and powers. With so many options these lights offer users the most options of any LED. Able to be installed almost anywhere they let you put your light right where you want it. 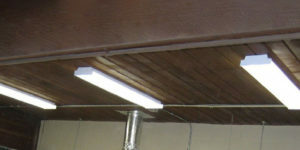 Used for adding light in areas like under counters, stairs, decks, pathways, and RV’s. These discreet lights let you achieve the light levels you always wanted, and highlight your space like never before. Whether in new construction or just adding some light to a finished room these LED’s are easy to install and draw minimal power. With lots of driver and accessory options these lights are user friendly for any knowledge level, and our friendly staff will help make sure that you have all the pieces you need for a safe and easy install.